Finding amazing business resources is one of our favorite things, sharing them with you is even better! When we started Business Building Women we spent a lot of time working on design elements that were outside of our wheelhouse. Trying to create templates for Facebook, Instagram, Pinterest and on and on. Nothing turned out quite like we wanted it to but the idea of hiring a designer was a little out of reach. Then we came across Creative Market. Creative Market is a website that allows graphic designers to sell their work at an affordable price. They offer endless products but we want to share a few of our favorites with you. Cover photos, profiles, post templates…they have it all! Creating a professional and cohesive look across your social media platforms has never been easier. 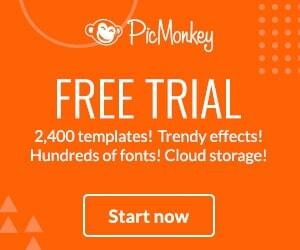 There are a wide variety of templates that can be edited in photoshop, Canva, PickMonkey and more. Almost every aspect of the templates can be modified and they are incredibly easy to work with. When it comes to email they have everything covered. You can purchase newsletter templates, sales funnels and even complete opt in packages for lead generation. For just a few dollars you can choose a single premade logo that you simply modify using your photo editing software. Or for a bit more you can buy an entire bundle and mix different design elements to create something completely unique. Pinterest is ALL about the visual. These easy to use templates are the perfect way to showcase your articles, blogs and products on one of the most important business platforms we all have access to. This post contains affiliate links. Which means we make a little money on any purchase you might make. By little we mean it will buy us a Dr. Pepper…a can, not a bottle. All our opinions are real and not swayed by compensation…you can’t buy our loyalty for a can of Dr. Pepper, that would take at least a 12 pack. For free business tools and resources head over and join our Inner Circle!